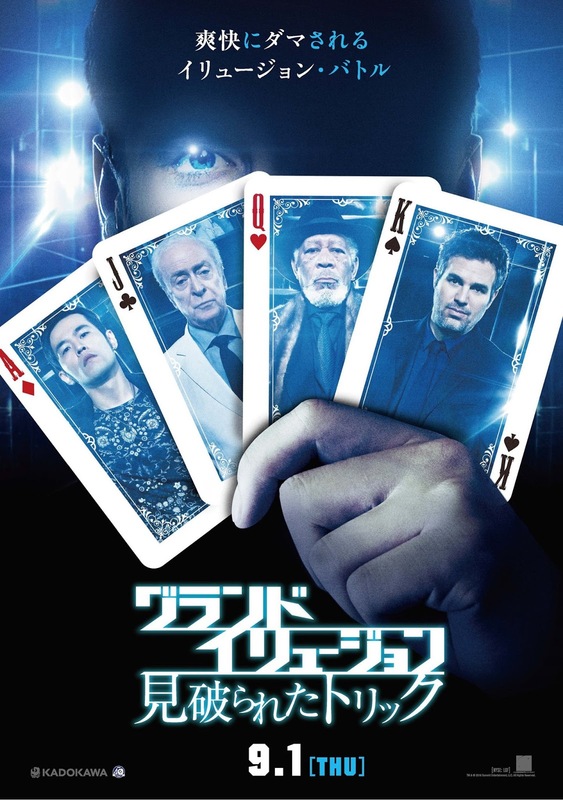 Here's a post regarding some Now You See Me 2 news you could have missed via Twitter and Facebook. 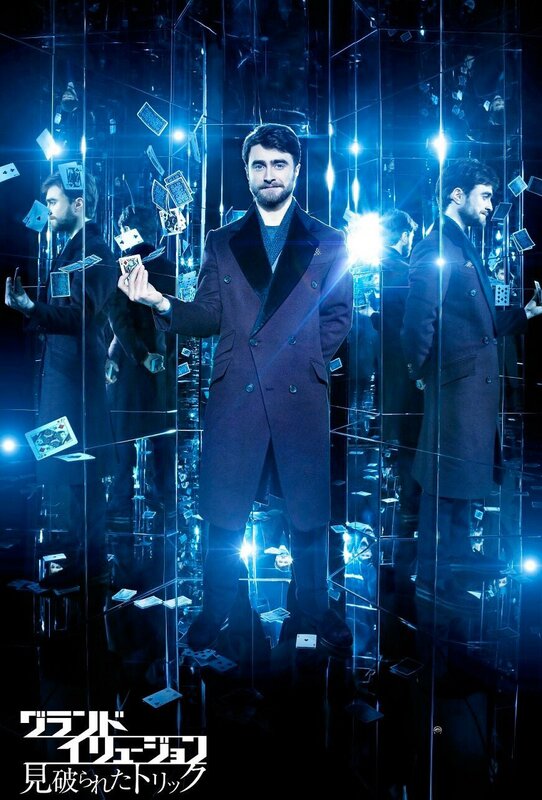 Update: Another poster thanks to Dan Radcliffe Japan. Select All's interview: How Lizzy Caplan and Daniel Radcliffe keep their accounts safe from hackers. Update: 10th June 2016. MTV News interview. Update: 15th July 2016. 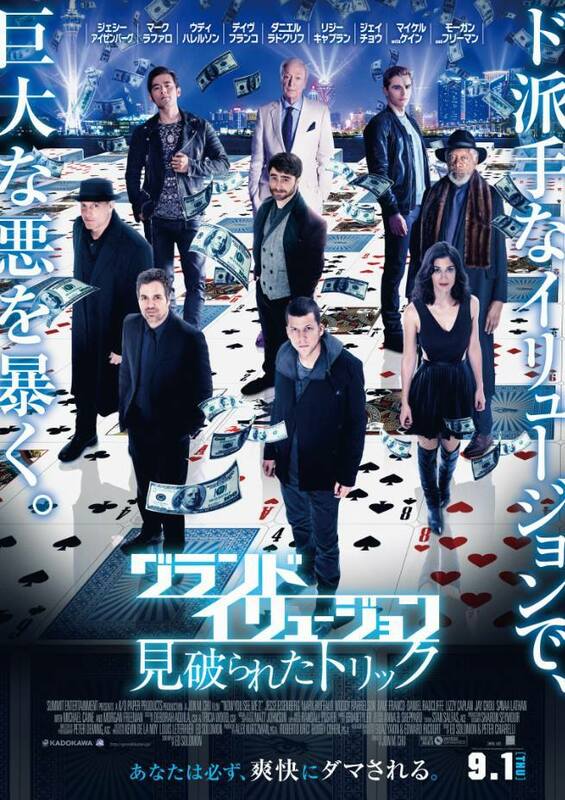 Another Japanese poster. - Interviews, first off there is Toronto Sun, about hypnitizing plus an interview from the press day in New York. Another interview is from Metro US, with thanks to Matt Prigge for sharing his interview with danieljradcliffe.tk via Twitter. Then there is also the Sunday Morning Herald (Australia) plus a Soundcloud clip of Daniel talking about Michael Caine from Hollywood Outbreak. 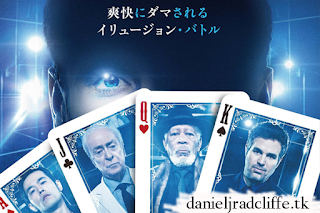 - The Japanese trailer for Now You See Me 2 (グランド・イリュージョン 見破られたトリック), features a few more scenes with Daniel as Walter Mabry. I also added the poster below because it does look like Daniel is the one holding the cards.. what do you think? What about your character? This is your first real villain role. But he’s equally evil and pathetic. What I thought was interesting was his relationship to magic. It’s the difference between the person who is happy to suspend his disbelief and somebody who wants to work rigorously to figure out how the trick is done. My character, being someone who can’t do magic, is made to feel stupid by it. His whole identity is being the smartest guy in the room. As soon as someone makes him feel inadequate he has to control or dominate it. That’s where his maniacal behavior comes from — as well as his deep loneliness and father issues.